After a long wait, the makers of Manikarnika finally came up with an exciting teaser of the film. 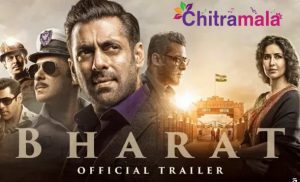 The movie was in a couple of controversies but it looks like everything is cleared and the makers have kick-started the promotions in an impressive way now. The teaser of the film has given the glimpse of the most fierce warrior, the Queen of Jhansi played by Kangana Ranaut. The teaser opens up with the voice over of Amitabh Bachchan narrating the greatness of Manikarnika. The teaser looks great with some amazing visuals and the war sequences are said to have come out well. The film is sure to become a hit in Bollywood. Directed by Radha Krishna Jagarlamudi, Manikarnika is releasing on 25th January 2019. The film also stars Jishu Sengupta, Suresh Oberoi, Danny Denzongappa, Atul Kulkarni, Ankita Lokhande, Misti, Unnati Davera, Zeeshan Ayub, Rajeev kacharo, Nihar Pandya, Kulbhushan Kharbanda, Manish Wadhwa and others.